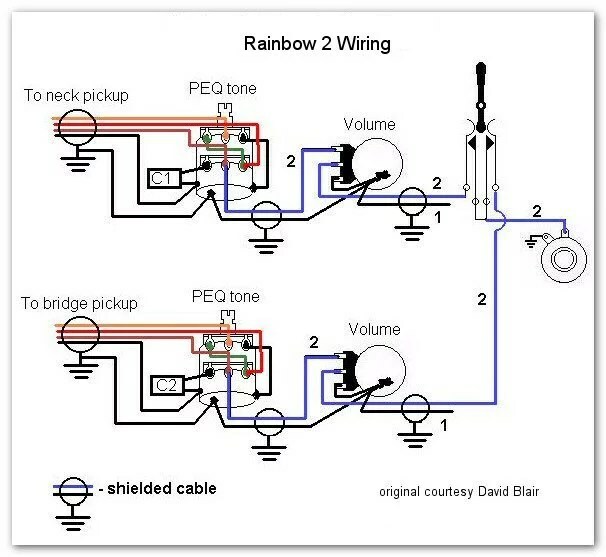 This wiring diagram is taken from an 1983 Rainbow II. It should also work with the Prestige 150 and 250 as they have the same controls (3 way switch, 2 volume and 2 PEQ tone controls). The PEQ tone pots were specially made for, and patented by, Matsumoku. They are not a standard part and there is no commercially available equivalent today.